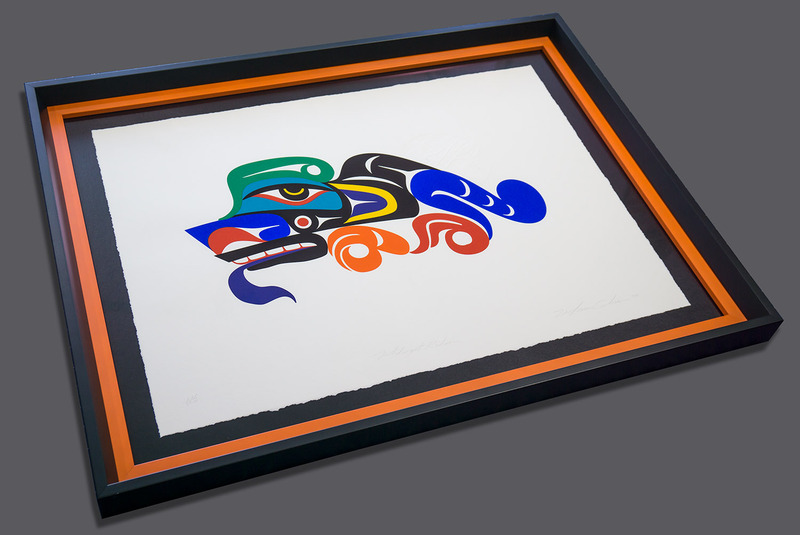 There is nothing we love more than producing truly exceptional work, and pulling out all the stops on a top-notch frame is where we get to stretch our legs and showcase your art at it’s full potential. What can we do for you? We can’t wait to find out! This year we are thrilled to have won 2nd place in Frame Star, a North America wide framing contest, with our feature frame project “Someone Like you”. This frame was a wedding gift from Groom to Bride, both musicians, featuring the happy couple’s song “Someone Like You”. 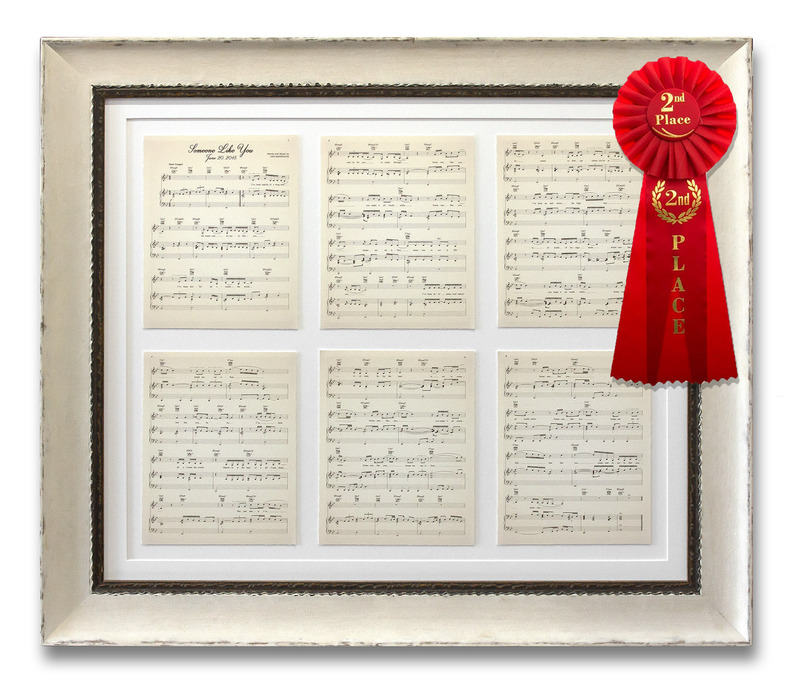 This project started with simple PDF sheet music, to which we added an aged paper background (color matched to our frame), and printed on cotton fine art paper. Each sheet was hand torn to create a natural decal, and individually floated 1/8″ off the backer for a subtle shadow effect. A narrow floated mat was added as a border, and then after some additional spacing sealed behind a sheet of premium UltraVue anti-glare glass. The end result was gorgeous, thrilled the groom, brought the bride to tears, and netted us 2nd place across Canada & the USA. Can’t wait to see what we do for next year! This fun frame was a great combination of bright colors and premium materials. Pairing a modern black wood molding with an orange accent frame really brought it to life. The print itself was conservation hinged to a glossy black mat in keeping with the modern feel, and protected behind Museum Glass.